Clause and phrase are both important terms in English grammar. Clause and phrase both are parts of a sentence. 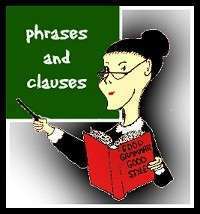 Clause Definition- A clause is a group of words that consists of a subject and a verb. Phrase Definition- A phrase is a group of words that does not consist of a subject and a verb. The first part of the sentence “He is playing” is a clause because it has a subject and a verb. the remaining part of the sentence, ‘in the ground’ is a phrase because it lacks both the subject and the verb. I met him in the bus. He was declared as the youngest swimmer. They bought some ripe mangoes. Our family members gathered within a moment. My uncle scolded me for my mistake.